A porter brewed with: water, malt (pale, caracrystal, pale chocolate and chocolate), flaked oats, dark cassanade, hops (centennial and cascade), spices (star anise, cinnamon, clove and coriander seed) and ale yeast. 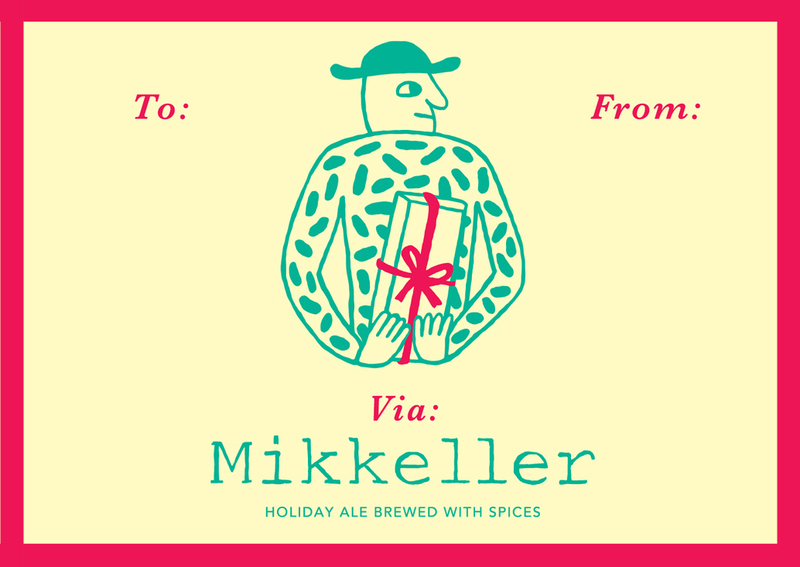 The first Christmas porter from Mikkeller. A light, spiced porter with fine malt background and lovely hop aroma and flavor. The label is designed as a ’To From’ card. Fill in the names and put the bottle under the Christmas tree – the perfect Christmas gift from the lazy man/woman! !